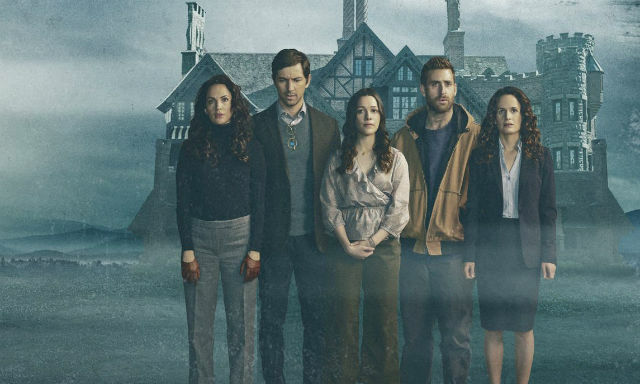 One of Netflix's biggest hits of the year, and arguably their best show of 2018, is 'The Haunting of Hill House'. The ten episode series is loosely based on the 1959 novel of the same name by Shirley Jackson and was adapted and directed by Mike Flanagan. No doubt you have found yourself chatting to friends about the twists and turns of this gripping series, but in case you're short of a few fun facts about the hit show, we've provided some tidbits below that you may not know. Okay, this is probably one of the most talked about fun facts. 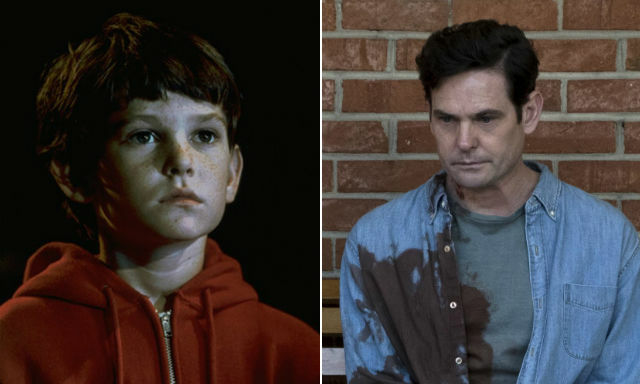 Nonetheless, in case you didn't know, actor Henry Thomas, who played young Hugh Crain, also had the iconic role of Elliot in classic Spielberg movie 'E.T.' Director Flanagan even included an Easter egg about this in the show, with a young Luke using an E.T lunch box. 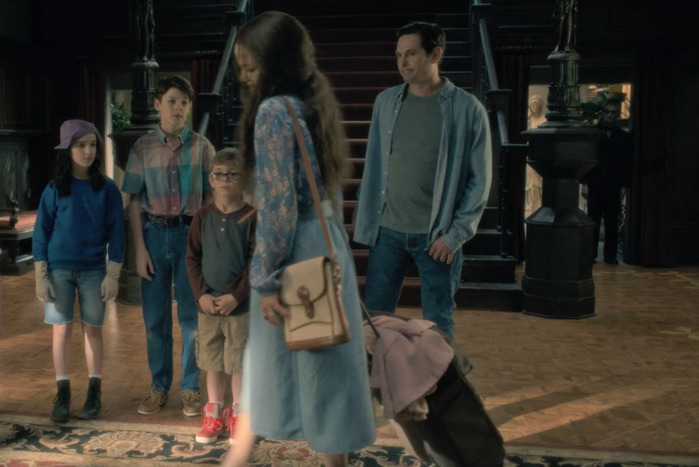 No doubt one of these caught you off guard while watching 'The Haunting of Hill House'. There were ghosts hidden in the background of many scenes throughout the show, with Mike Flanagan saying how there were ghost extras on set every day ready to be placed in random scenes. Even the actors didn't know they were there at times. 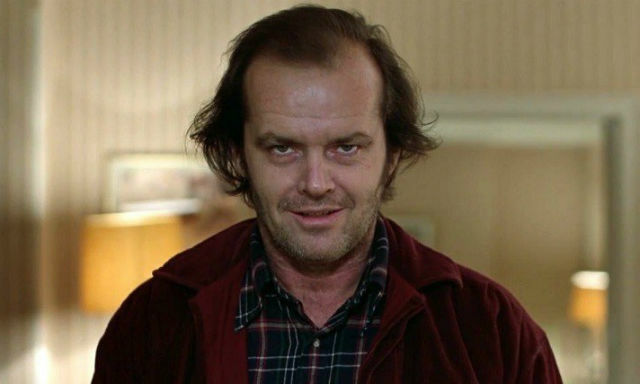 You may have heard earlier in the year that there is a sequel planned for Stanley Kubrick's 1980 adaptation of Stephen King's 'The Shining', that will be based on King's 2013 novel 'Doctor Sleep'. Well it's Flanagan that is at the helm of this project, who as well as 'Hill House' also directed 'Gerald's Game', 'Hush' and 'Ouija: Origin of Evil'. Director Flanagan is married to actress Kate Siegel, who played Theo. The couple have worked together on most of Flanagan's previous movies with Siegel making her screen-writing debut in 'Hush'. Siegel even found out she was pregnant with their second child while filming episode 6. Speaking of episode 6, it was the most technically challenging of the lot. You probably noticed how the camera work changed to follow the cast around. This meant that most of the scenes were done over a long take. Beyond impressive. So the ep is 53:38. About 51:00 is comprised of 5 shots. It was the hardest thing most of us have ever done, and the result of the combined efforts of hundreds of people. Mad respect for the cast & crew. In order for these long takes to work, and to really set the mood, an actual house was built for the interior shots. 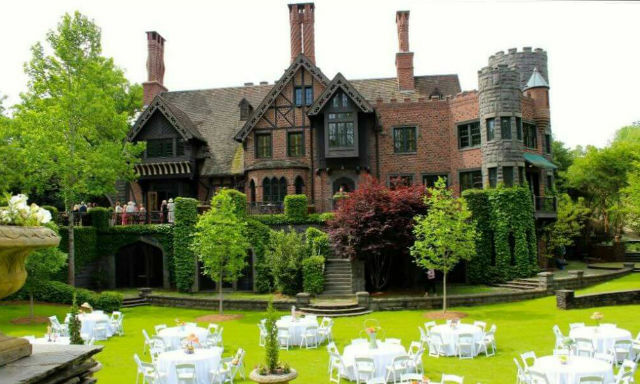 The outside shots of the house however was the Bisham Manor in LaGrange in Georgia, which is also used as a wedding venue if you fancy a long trek for a themed Big Day. Flanagan had actually planned on revealing a lot more about the former residents of Hill House, but there wasn't enough of a budget or indeed time to shoot it. 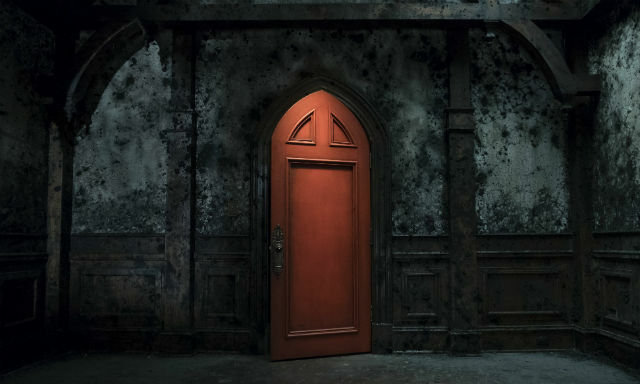 In an interview with Entertainment Weekly, the director said: "We had actually written and planned to shoot a complete history of Hill House. "Every other episode would open with about a five-minute history thing narrated by Steven, from his book and we did take from Jackson that the first victim of the house died before anyone had ever really stepped foot in it." "We had built a really complex history of the Hill family that we ultimately didn't shoot," Flanagan explained. 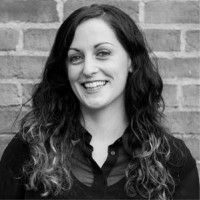 "We didn't have the time or the money to shoot it, which really broke my heart at the time, but we figured if we had to focus on anything, we had to focus on the Crain family." This one we don't know how we didn't spot, but it's hard to recognise him without his Second Sons garb in fairness. 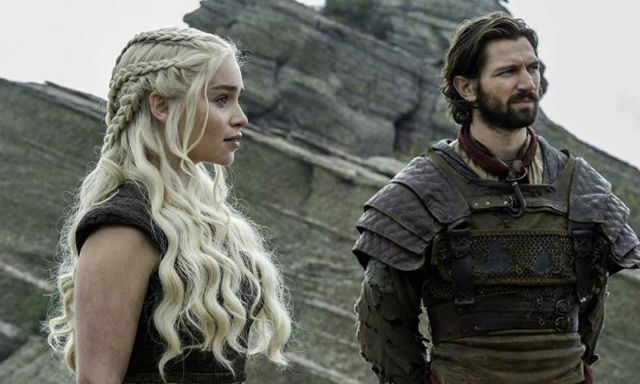 Michael Huisman, who played Steve Crain in 'The Haunting of Hill House', also played the role of Daenerys former beau Daario Naharis in 'Game of Thrones'. Okay so a British person doing an American accent is hardly breaking news, but still, might be of interest to some. 32-year-old Oliver Jackson-Cohen is actually from London and even kicked off his career on 'Hollyoaks' playing the role of Jean-Pierre. In an interview with The Hollywood Reporter, Flanagan revealed that he had a very different ending in mind than the slightly Hallmark one we got. It would have seen the Crain family realise they had in fact never left the Red Room. "We toyed with the idea for a little while that over that monologue, over the image of the family together, we would put the Red Room window in the background," he said." "For a while, that was the plan. Maybe they never really got out of that room. The night before it came time to shoot it, I sat up in bed, and I felt guilty about it. I felt like it was cruel. That surprised me. I'd come to love the characters so much that I wanted them to be happy. I came in to work and said, "I don't want to put the window up. I think it’s mean and unfair." Once that gear had kicked in, I wanted to lean as far in that direction as possible. We've been on this journey for 10 hours; a few minutes of hope was important to me." There's a theory doing the rounds that each of the Crain family represented one of the stages of grief, which are denial, anger, bargaining, depression or acceptance. Steve as denial, Shirley as anger, Theo as bargaining, Luke as depression and Nell as acceptance. This may seem a bit of a push but when Buzzfeed posted a recent article about the theory, Flanagan responded with "Good catch". Now we just want to go watch it all over again.